Prince Georges County Public School students will be teaming up with PGCCPS employees Susan Brown and Barbara Liedahl to help participants make their own felted work of art at KIDfest. 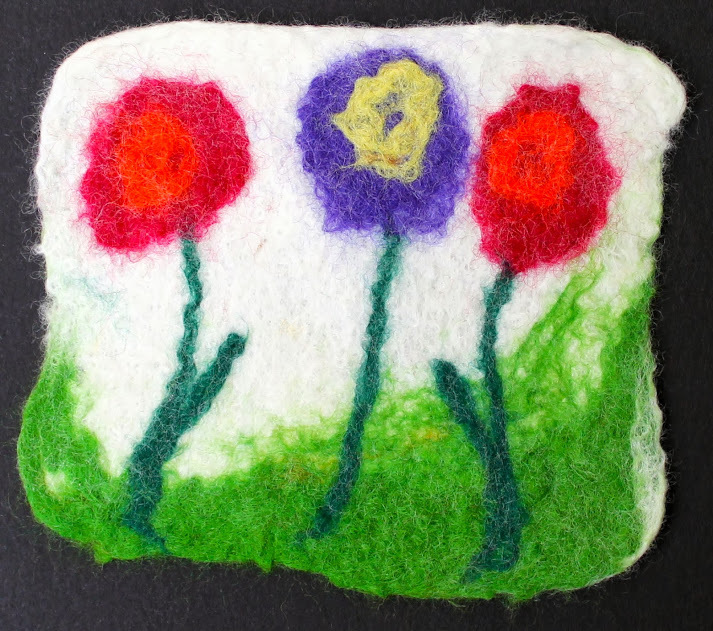 The final 4” square piece of felted fabric can be used as a coaster, framed as an art piece, or used to embellish a handmade greeting card. Wet felting is an ancient textile technique in which natural fibers such as wool are matted, condensed and pressed together through friction and soapy water to create a piece of fabric. The fabric can be made thick or thin, and is used to make garments, hats, handbags, blankets, rugs, home decor items, and even jewelry. Felt is used in the parts of many musical instruments, such as the piano, and has many uses in manufacturing. Artist and Maker Barbara Liedahl from PGCPS will be returning for her fifth year to teach the KIDfest participants how to felt. Anyone who visits the PGCPS tent will be invited to make their own felt sample and learn about the different processes used to make felt today and throughout history. Everyone will have an opportunity to create a simple piece of felt to keep. The simplified process involves layering small amounts of wool roving inside a plastic sandwich bag, adding some soapy water, sealing the bag and massaging the bag for about five minutes to compress and entangle the fibers. A quick rinse in cool water and flattening under a rolling pin will produce the felted fabric.